Posted on May 19, 2017 by Smorgasbord - Variety is the Spice of Life. Can you imagine living on a farm with horses but not being able to ride them? What would it be like to sit there, looking out the window, watching your sisters’ ride, and jumped over fences on them? I think it would be horrible! What if you were disabled and one day your doctor says that you’ll never walk? What would your parents say or do? 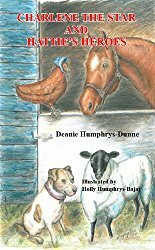 This all happened to author, Deanie Humphrys-Dunne. She takes us into her world of learning to ride a horse while having a disability. Not only that, but she tells us how she went on to showing the horses and jump them in horse shows! She has the ribbons to show for it, too!It all started when that doctor said Deanie would never walk. Her dad had other ideas contrary to what the doctor said. Thus, started Deanie’s long journey to the horse shows. It all started with her dad finding her a pony that she could handle and then strengthening her legs so that she could stay up. Then, she learned to walk the horse without falling off; everything up to jumping when she was eighteen. Through the years she’s ridden many horses as she grew and progressed. In this autobiography, the author takes us through all of the up and downs of her life. 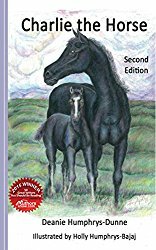 She tells us of the horses’ barn burning and her mother losing her favorite horse to Deanie finally getting a horse of her own!I was very impressed with this inspirational book and the courageous author who wrote it! I feel it should definitely be in your home library. It will teach your children that they can overcome whatever obstacles life throws in their direction. If you are looking for an inspirational and unforgettable read this is the book for you. This book will bring you to tears as you read about this inspiring little girl who learns never to say no to her dreams. She was born with a handicap and her parents were told that she would never walk. 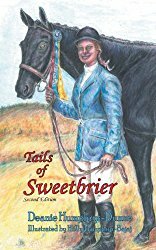 With a surprisingly strong will and determination to do what her sisters could do, ride horses and win championships, Deanie learned to ride. 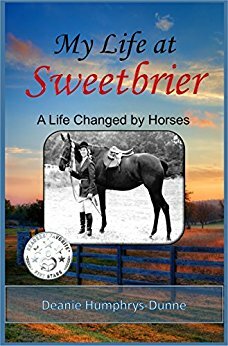 She found it very difficult and had to adjust many times to falling off her horse and getting up again and again. She never gave up and finally she did succeed and became a championship jumper. This is quite a feat for this little girl and through her trials and tribulations she teaches children and adults that perseverance pays off. If you want to live your dream then you must work hard even if you at first fail you must keep trying and never give up. By not giving up you will be rewarded with success and a wonderful feeling of accomplishment. Deanie is a remarkable woman who has inspired me by her example. 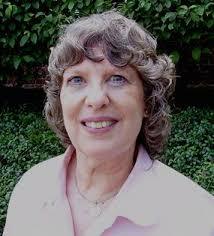 She is a talented and creative author of four books and continues to pursue her dreams in being a very successful author. I think she is well on her way to success for nothing will keep her from obtaining her goal. 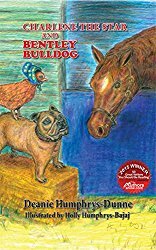 This is an excellent story for middle school and high school students to encourage them to pursue their dreams and proving by Deanie’s example, that no obstacle is too great. My second update is for Lesley Fletcher who has a brand new cover for her book Crystal Ball Persuasion and a good opportunity to update with some of the reviews for the book. Since being given her mentor’s gift of a premonition at a very young age, Gypsy has had her sights on a life far away from the one she leads. Standing in her way are two men; one who has been waiting a lifetime for her love and one who depends on her gifts for a living wage. Trusting the Universe, she throws herself into a new life when she finds the seeker who fits the premonition. She sets out with a new identity and a zest for adventure on her quest for the truth. Their journey together leads to questions about what the future will hold and how the past will impact it. There is only one thing is set in stone. Neither will ever return to their former life. Accompanying her on the adventurous escape and leading the way is Jules, a woman whose life was recently thrown into merciless turmoil. Together they conquer goals, soul search and open their bruised and broken hearts as they travel to far off destinations. Their journey is filled with mystical charm, sisterhood and page-turning events as the story unfolds. Along the way a question arises – Will building a fresh life based on crystal ball readings, intuition and a premonition, also change destiny? This is a great story that examines how lives intertwine. The first time Gypsy and Jules meet, Gypsy is doing a reading for the woman. From there the author takes the reader into a fascinating story and on an incredible journey. The story is well written and the tale is unique as a search for truth and reaching goals by two women who although it seems have nothing in common at first have a date with destiny. I received this book as the result of a giveaway. I enjoyed the style of writing straight away, it flows well and gets on with the story from the start. I also took a liking to the main characters, so quickly became interested in what happened to them. I know little about the Gypsy life and a little about the places Gypsy and Jules travelled to, but there was enough information to bring the places to life without it being obvious. I read this on my commute to work and there were occasions when I wished my journey was longer so I could continue reading. A thoroughly enjoyable book following the development of a friendship between two women from very different backgrounds. This entry was posted in Sally's Cafe and Bookstore Update and tagged Deanie Humphrys-Dunne, Lesley Fletcher by Smorgasbord - Variety is the Spice of Life.. Bookmark the permalink. You will always find something interesting at Sally’s Cafe and Bookstore. Honestly Sally, I am just blown away by your generosity to fellow authors. Thanks so much for displaying my new cover 🙂 x’s and o’s all over the place. Two amazing sounding books, Sally. Have a wonderful weekend. Delighted to see Lesley’s work here!! She’s a gifted writer and artist. Thank for sharing Don.. have a great weekend..
How wonderful to see the updates for my author friend Lesley here! 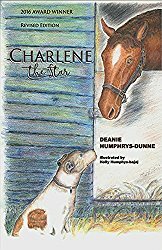 I like the new cover and the reviews are fantastic 🙂 I don’t know Deanie so it’s nice to “meet” her here. Thanks for always being so generous with your time, Sally!